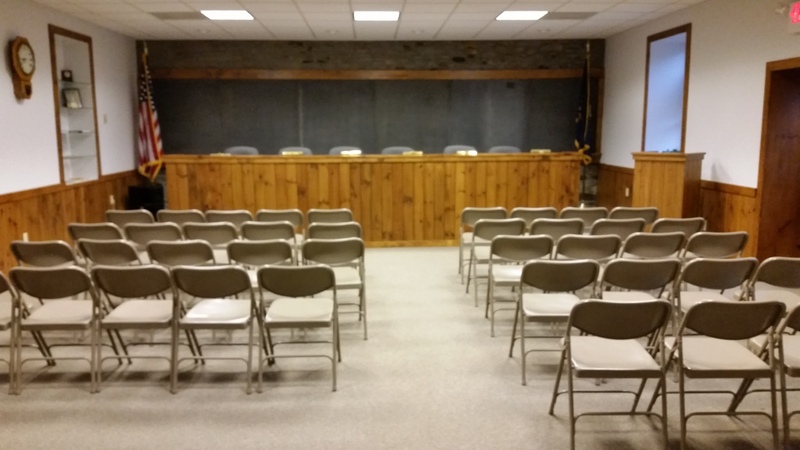 The regular meeting of the Bridgeton Township Board of Supervisors was held on May 14, 2015, as advertised, at the Township Building, 1370 Bridgeton Hill Road, Upper Black Eddy, Pennsylvania. Present were Supervisors Gard Holby, Roger Keller and Michael Lynch. Also present was Secretary/Treasurer Tammy Macaluso and David Shafkowitz, the Township Solicitor. No Executive Session was held prior to the meeting. Supervisor Holby called the meeting to order at 7:18 p.m. Supervisor Holby called for public comment on the meeting agenda. No public comment was received. Paul Dietz, III, P.E., Urwiler & Urwiler – Gerhardt Sewage Facilities Planning Module – Mr. Dietz was present on behalf of the Applicant with regard to a planning module application which sought an amendment to the Township’s Act 537 Plan. Mr. Dietz advised the Board that the matter was reviewed by the Township Planning Commission which recommended approval of the proposed Act 537 application. Mr. Dietz explained that the application for the Act 537 Amendment was necessary because the Bucks County Board of Health visited this property and determined that it was unsuitable for a traditional on-lot sewage disposal facility consistent with the Township’s Act 537 Plan. The option presented and discussed with the Department of Health is to install a mini-sewage treatment plant with stream discharge on the Property. This proposed revision to the Township’s Plan requires approval from the Board of Supervisors, the establishment of an operation and maintenance agreement and ultimate approval from the Pennsylvania Department of Environmental Protection. Timothy Fulmer, Township Engineer was also present for this application. Mr. Fulmer advised that notice of the application and tonight’s meeting were published in a newspaper of local circulation requesting any comments to the proposed amendment. Mr. Fulmer reported that there were no written comments made during the 30 day period allotted. Mr. Fulmer also stated that the monitoring of this treatment plant is done on an annual basis with the County Board of Health and language can be added to the Operation and Maintenance Agreement stating that the Township will be copied on any documents provided to and from the County Board of Health. Upon motion by Supervisor Holby, seconded by Supervisor Keller, which carried 3-0, the Board adopted Resolution 2015-2, Resolution for Plan Revision for New Land Development condition upon the Operation and Maintenance Agreement being prepared to the Board’s satisfaction and the escrow account being established pursuant to the Township’s requirements. Nick Zangli, Bridgeton Athletic Association – Mr. Zangli was present to discuss with the Board the prior request for a municipal donation to the Athletic Association. Supervisor Holby stated that the AA serves, essentially, as a Park and Recreational facility for the Township and that the Township has a budgetary line item committed to park and recreation which has not been used. Accordingly, the Board has decided, after reviewing the financials of the AA that providing a donation to the Association would be consistent with the Township’s goals and budgetary parameters. Upon motion by Supervisor Keller, seconded by Supervisor Holby, which carried 3-0, the Board approved a $1000.00 donation to the Bridgeton Athletic Association. Kris Linden, Township Resident – Ms. Linden reported to the Board that she was concerned about a neighboring farm which was being sprayed with a pesticide that may cause harm to the surrounding property owners. Ms. Linden inquired whether the Board has any authority to address the use of pesticides within the Township. The Board requested that the Solicitor look into what, if any authority the Township may have in regulating the use of pesticides within the Township. Receipt of a Performance Bond and Payment Bond, both in the amount of 100% of the contract price. Compliance with all other specifications contained in the contract documents. documents relative to the project. Receipt of Certificate of Insurance, naming the Township and its agents as additional insured, pursuant to terms of the contract documents was received and noted. 2-0, the minutes from the April 9, 2015 regular meeting of the Board of Supervisors were approved. BILLS/PAYROLL: Upon motion by Supervisor Lynch, seconded by Supervisor Holby, which carried 3-0, the bills and payroll in the amount of $22,492.41 from April 2015 were approved. TREASURER’S REPORT: Upon motion by Supervisor Lynch, seconded by Supervisor Holby, which carried 3-0, the Treasurer’s report from April 2015 was approved. A. Road Maintenance Agreement with Nockamixon Township – No update at this time. Sabatini Letter of Credit – No update at this time. Zoning Hearing Board Meeting – The Solicitor reported to the Board that a zoning application was received from a Mr. Elk for his property located on 1945 River Road, Upper Black Eddy, PA 18972. Mr. Elky’s application was an appeal from the Zoning Officer’s Notice of Violation, which indicated that an illegal junk yard use was being conducted on the subject property. Upon motion by Supervisor Holby, seconded by Supervisor Keller, which carried 3-0, the Board moved to have Solicitor Shafkowitz represent the Board at the zoning hearing scheduled June 2, 2015 before the Township’s Zoning Hearing Board. Planning Commission – Minutes have been received and are on file for March 2015. Planning Commission report read and is on file. Secretary/Treasurer – Ms. Macaluso reported to the Board that the new accounting software and databases previously approved has been installed. B/N/T Groundwater Committee – Minutes have been received and are on file for March 2015. Roadmaster – Roadmaster Rich Pursell reported that the ditches alongside the roads slated for sealcoating are currently being prepped. Roadmaster Pursell also reported that the addition to the garage has been completed and, as a result, a security sensor will need to be relocated. Mr. Pursell requested that Secretary Macaluso contact Advent Security for assistance in this regard. Zoning –Zoning Officer’s Report for March 2015 has been delivered to the Board. A copy of the Zoning Officer’s report is on file with the Township. Signage for Township Building – This matter is still under consideration by the Board and different options are being reviewed. Supervisor Keller advised the Board that he will obtain a sample of the letters that can potentially be used to identify the Township Building. Digitalizing Ordinances/Resolutions – Supervisor Lynch reported that he would like the Board to approve the hiring of File X to digitalize the Township’s Ordinances and Resolutions, at a cost not to exceed $250.00. Upon motion by Supervisor Holby, seconded by Supervisor Lynch, which carried 3-0, the Board approved the hiring of File X to digitalize the Township’s Ordinances and Resolutions, at a cost not to exceed $250.00. contact Service Electric to research and/or discuss the potential provision of internet service directly to the Township. Multimodal Transportation Fund Program – The Board decided to forgo the development of a project for this grant cycle and will reconsider the matter for next year. Electronic Recycling Information – The Board was considering potential methods of offering recycling of electronics within the Township. Secretary Macaluso presented some options for consideration by the Board. The Board decided to table the matter for further discussion. Bucks County Association of Township Officials, Membership Outreach Meeting – Supervisor Holby will attend June meeting. Nick Zangli, Bridgeton AA is seeking contact information for cell tower companies for a possible site location on Bridgeton AA land. Supervisor Holby stated that cell providers look to co-locate first instead of building new towers. Mr. Zangli would like any information possible regarding the lowering and raising of the American flag. Secretary Macaluso will forward information on to him. Being no further business, upon a motion by Supervisor Holby, seconded by Supervisor Keller, which carried 3-0, the meeting was adjourned at 8:32 p.m., with the next meeting scheduled to be held on June 11, 2015, at 7:00 p.m. at the Township Building.